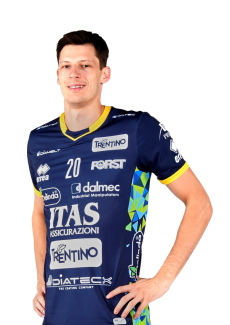 2013/14 was a season strongly influenced by the departure of Kaziyski, Juantorena, Raphael, Stokr, Djuric, Bari and Stoytchev, coach of the many victories, and by the exit of Itas Assicurazioni as main sponsor. 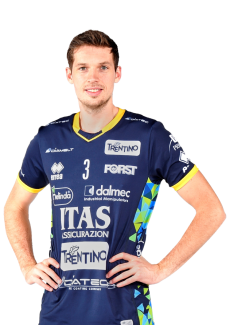 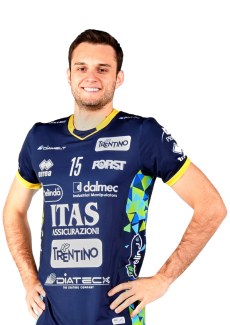 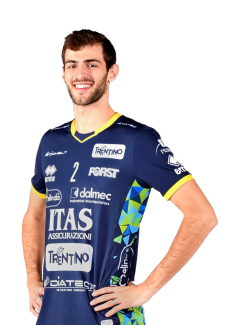 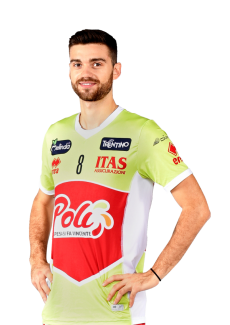 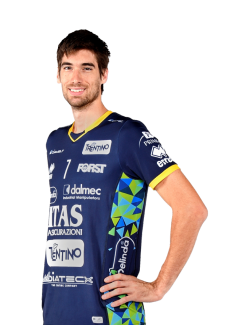 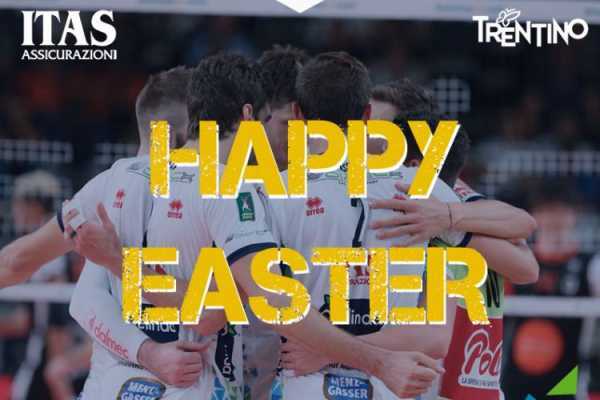 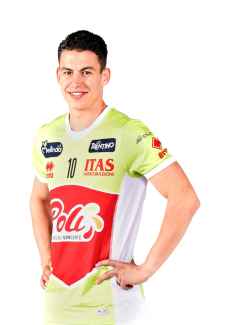 After the first thirteen seasons as sponsor of the team and associating its brand to Trentino and Italian volleyball, the insurance company decided to dedicate its time to the youth sector. 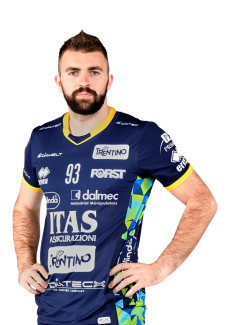 The team’s new name is now “Diatec Trentino”, and is assisted by President Mosna’s group and the local Trentino marketing company which is now title sponsor. 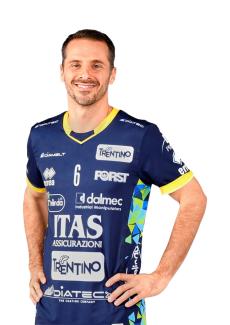 A new era began for the team in which the vice-coach Roberto Serniotti actually became the main coach and the role of captain was assigned to Birarelli. 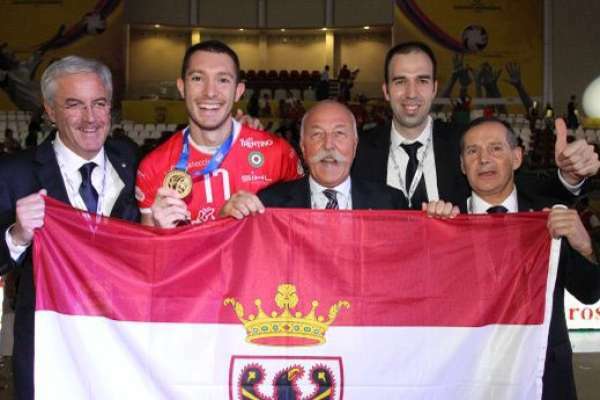 American setter Donald Suxho was responsible for the team that included three strong foreign players, like the Bulgarian opposite Tsvetan Sokolov, Portuguese Ferreira and the Argentinian Solé, but also especially young Italians like Filippo Lanza, Michele Fedrizzi and Antonio Da Paola who are the fruitful results of the great deal of work put into the youth sector over the years. 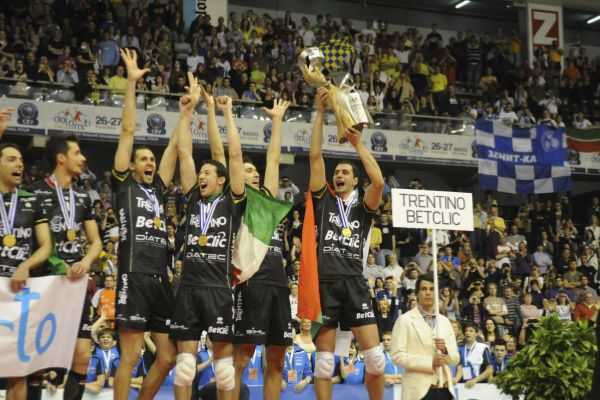 In 2013 Trento placed itself third in the Club world cup (in the photo the team on the podium) played in Brazil but only after having won yet another trophy: on 9th October captain Birarelli, central player of the Italian national team, lifted the first trophy of the new era when the team won the Italian Supercup at the PalaTrento stadium defeating Macerata. 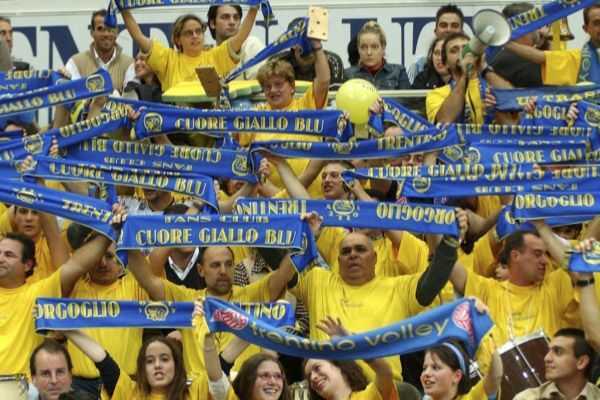 In January 2014 the club strengthened its organizational structure even more including the position of general manager. 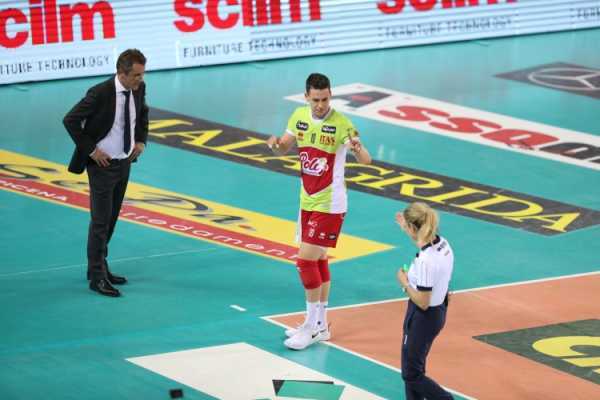 This position was assigned to Bruno Da Re, historical manager of Italian volleyball, who had just concluded a long experience in Modena after winning against Treviso. 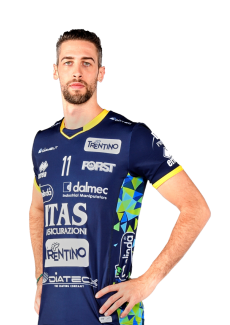 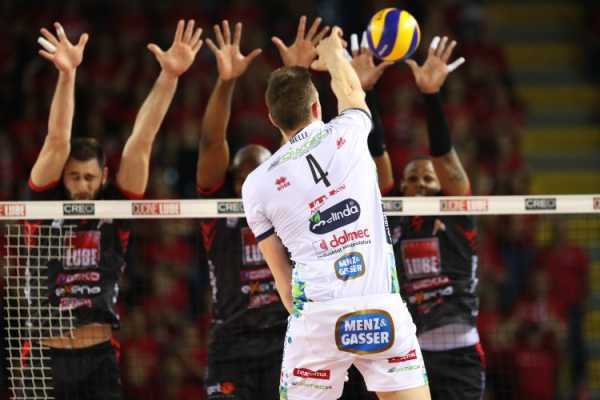 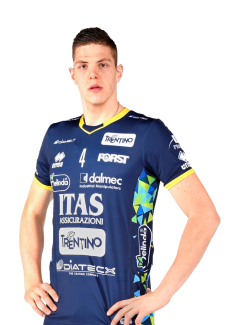 A fantastic victory against Modena at the end of January lead Diatec Trentino to the final four of the Italian cup where it was defeated in the semi-finals by Piacenza that won the cup. As regards the Champions League, only various injuries and the Russian team Belgorod (considered the strongest team in the world) could have eliminated Trento from the quarter finals. 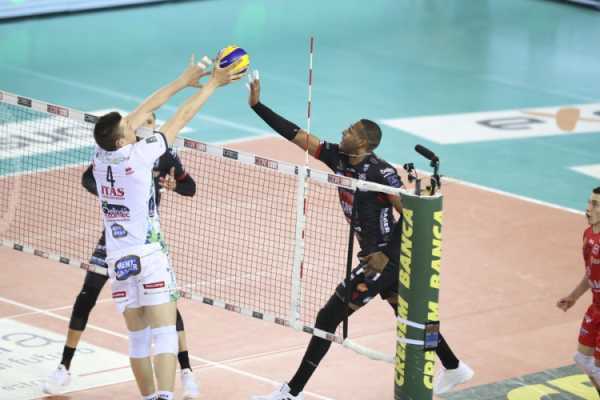 The season finale wasn’t very lucky: the team was defeated by Modena at the quarter finals of the championship playoff and was invited to participate in the Club World cup in 2014 (played in May at Belo Horizonte) but was defeated in the first rounds.